I've ran into this issue a couple of times with various implementations of Microsoft Office 365 (hosted Exchange, Lync, and SharePoint). We've setup a team calendar on the SharePoint site and used the "Connect to Outlook" button to add that calendar to the users Outlook profile so that they can see their personal calendar side-by-side with the shared team calendar. The user is happily going along adding appointments in Outlook to the shared team calendar but then they realize that nobody else is seeing these appointments on their shared calendar in Outlook. A quick check of the actual calendar in SharePoint shows that the appointments never actually made it from Outlook to SharePoint, which explains why they aren't syncing to any other users. I'm not sure how to permanently fix this or prevent it from happening in the first place, but the quick fix is to just close out of Outlook for a few seconds and then launch it again. Then all of the appointments you added to the shared team calendar in Outlook should sync up to the SharePoint calendar and then all of the other users will be able to see those appointments in Outlook as well. Update : Also, make sure that you are properly logged into Office 365 (or SharePoint Online) when you are launching Outlook. 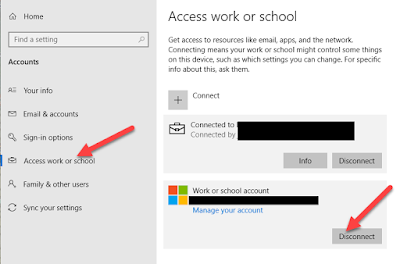 I've seen some situations where the Office 365 login window pops up but users just click away from it, rather than clicking on their email address, re-entering their password and clicking Sign In. In fairness, that Office 365 sign-in window doesn't make it real clear what the user needs to do. It's not obvious that the user profile picture and email address area is actually a button to click on. If you aren't logged into Office 365, then you can still add appointments into your Team Calendar via Outlook but they won't actually publish to SharePoint until you authenticate. My Windows 7 64 bit PC (A Dell XPS 420) had been working just fine with sleep mode - going to Sleep after the specified period of time, waking with no problems, even waking automatically for my Windows Home Server backups. But recently it would not automatically go to sleep. I did swap out some different hard drives recently but nothing that should have messed with the BIOS or Sleep settings. So I've been troubleshoot this issue quite a bit. I did find a nice checklist of things on this page. I'd suggest going over those basic tasks first. However mine was a little more complicated. So now that you know what is preventing Sleep mode, you need to tell the power management system to ignore that device and go ahead and enter Sleep mode anyway. In my case, it was my audio card called "High Definition Audio Device". Yours will vary - it might mention Creative Labs, SoundMax, RealTek, etc. Or it might be a totally different device all together (network card, mouse, keyboard, etc.). You'll need to specify that exact same name in the following command. Now that I've told the power management system to ignore any audio streams opened by that device, it goes to sleep without any problems.